What happens when an aerospace specialist like Airbus subsidiary APWorks takes its expertise and creates something besides spaceship engines? You get the Light Rider, a jaw-dropping, 3D printed electric motorcycle that tips the scales at just 35 kilograms, or roughly 77 pounds. The Light Rider bypasses the typical motorcycle tube construction, instead utilizing bionic algorithms that define its organic frame structure and provide what the company describes as superb stiffness and optimal use of material. APWorks CEO Joachim Zettler said the complex and branched hollow structure couldn’t have been produced using conventional production technologies such as milling or welding. 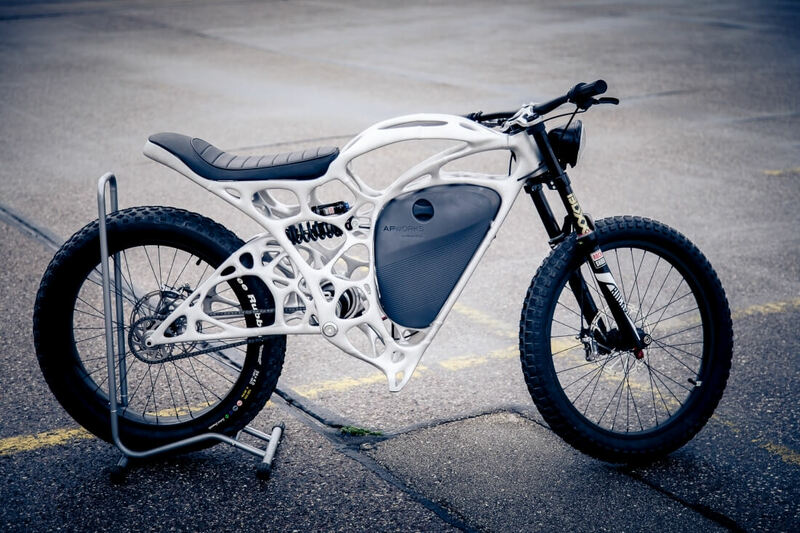 Advances in additive layer manufacturing, Zettler added, have allowed them to realize the bionic design they envisioned for the motorcycle without having to make any major changes. Reducing the amount of material used and swapping a standard gasoline engine for a 6wK electric motor creates a power-to-weight ratio that equals what you’d find on a supercar. APWorks says it can accelerate from zero to 80 kilometers per hour (nearly 50 mph) “in just seconds” with a range of 37 miles between charges. APWorks is offering a limited production run of just 50 motorcycles and predictably, they won’t come cheap. The company is currently accepting pre-orders with plans to sell each bike for 50,000 euros, or around $56,000 USD.